Ford's solo drive in India to end? Deal with Mahindra in the offing! The Indian subsidiary of the US carmaker will transfer most of its current automotive business, assets and employees to the new company. In a move that could spell the end of Ford Motor Company's independent operation in India, the American automotive giant is in talks with Mahindra & Mahindra to form a joint venture for the country. As per the terms of the deal, Ford will hold 49 per cent in the joint venture, while the balance stake will be held by the Anand Mahindra-led company. Ford has become the second global auto company in recent times to cut back on its business interests in the country, even as the government seeks to boost domestic automobile production. In 2017, peer General Motors Company halted local sales of vehicles after accumulating losses of around $1 billion in 20 years of its operations in India. The trajectory of Michigan-based Ford's growth has been similar to that of General Motors. After invested close to $2 billion in India, Ford has been able to corner a paltry three per cent market share in one of the world's fastest growing automobile markets. 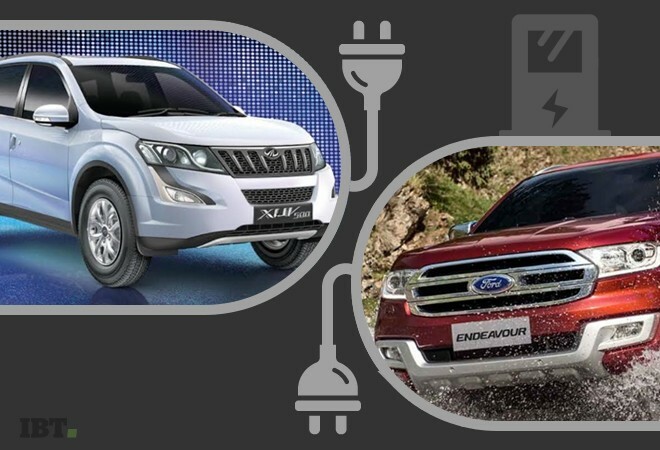 The deal is an extension of the strategic alliance signed by Ford and Mahindra in 2017. In subsequent years, both the companies have deepened the partnership with an aim to jointly develop Sports Utility Vehicles and electric cars. The Indian subsidiary of the US carmaker will transfer most of its current automotive business, assets and employees to the new company. "It's like a partial exit (for Ford from India)," an unnamed source told Reuters. The transaction is likely to be completed in 90 days, however, the value of the deal could not be ascertained by the media agency. Currently, the auto major manufactures and sells cars in India through its wholly-owned subsidiary. In 2018-19, Ford India sold 92,937 vehicles in India, growing just 2.6 per cent year-on-year. Market leader Maruti Suzuki sold 1.7 million passenger vehicles in the same period, while Mahindra sold 254,351, bagging the third position in the Indian auto market. Ford declined to comment on the report, but said, "Both companies continue to work together to develop avenues of strategic cooperation that help us achieve commercial, manufacturing and business efficiencies". Mahindra said it does not comment on speculation. In a statement to Reuters, the Indian carmaker said it was "working together in identified areas" with Ford after a 2017 partnership arrangement, and "will announce further definitive agreements as we progress on some of the other areas." The move is a part of Ford's global restructuring exercise, through which it plans to save $11 billion in the next few years. The company's joint venture in Russia recently announced plans to close two assembly plants and an engine making facility, essentially exiting the passenger vehicle segment in the country. The deal closer home is expected to help Ford launch more affordable cars in India, as the joint venture will not have to pay a royalty to its global parent. Some of the accumulated losses of Ford's India unit will also be cleared through the funds that accrue from the deal. Interestingly, this is not the first time when an Indian automaker has come to the rescue of Ford. In 2008, Tata Motors had bought luxury carmaker Jaguar Land Rover for $2.3 billion from Ford as the US-based company wanted to focus on its core brands.